Three completely new multipart and repeatable storyline assignments are now available. 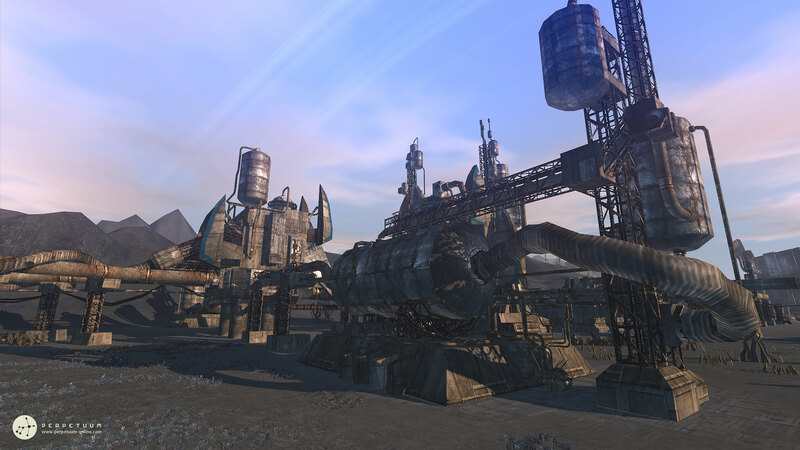 They revolve around three new building complexes located on the new alpha islands: a Pelistal Fortress on Hershfield, a Nuimqol Refinery on Tellesis, and a Thelodican Storage Depot on Shinjalar. The assignments are level 3, and the necessary relation to unlock them is 2.50, with UASD (TM - "Operation Ozymandius"), DFI (ICS - "Operation Rejuvenate") and Asintec Intelligence Service (ASI - "Operation Predecessor"). Although these assignments can be completed solo by a well-advanced and equipped Agent, don't be fooled by the initial easier objectives: the final tasks will generally require you to work together with other Agents to be successful. Some of the objective types are completely new (switches, item containers), and some require you to perform tasks that you haven't done before in an assignment (artifact scanning) - pay attention to the assignment description and the event messages during the assignment! New: When you only have one locked target, using unlock will now work without the need to select that target. Change: Increased the pseudo-height of robots for better LOS calculation (nothing visual). Change: Seth base speed increased to 39.6 kph. Change: Lowered the Gropho's base weight by 2500kg (3000kg for Mk2). Change: L-demobilizers are now affected by line of sight. Change: Reduced the accumulator usage of medium lasers. Change: Reduced the accumulator usage of medium magnetic weapons. Change: Medium shield generators have now 5 second cycle times - increased base accumulator consumption accordingly. Fix: 3D engine operative memory usage reduced to 4% of original, which generally means a ~300MB memory usage reduction for the whole client. In theory this should also reduce the number of dock and teleport crashes. Change: Lowered raw material volume of epriton, imentium, liquizit, stermonit, triandlus and noralgis. Fix: There was a bug with reach position type objectives, which randomly made subsequent objectives impossible to complete. Fix: Renting a corporation storage didn't work after you logged in directly to the terrain. Change: Separated demobilizers into two subcategories, Short range and Long range. Change: NIC toast messages now display the amount change properly colored, like in the transactions list. New: Added option to hide the orientation cone on the radar. Fix: Incorrect tactical icon display on extremely wide resolutions. New: Server shutdown countdown will now be displayed on the top status bar. Also, the shutdown message will be automatically displayed to everyone who logs in during a shutdown process.